getting OUT THERE in FRONT OF and INTERACTING WITH your target market. When you deliver a ton of value to your audience and interact with them in a powerful way, you’ll be turning PROSPECTS into CLIENTS right away! By solving one of your prospects’ most challenging issues in reaching their health goals, you will be able to demonstrate the value of your services and let people see how YOU can help them. “Transform Your Health” is a client-generating webinar/workshop that’s all set and ready to go! Just add your branding and personal touch, and you’re ready to roll. We all know that exercise is an essential part of a healthy lifestyle, yet this is often where people struggle the most. Let’s face it; exercise is not always a high priority, even though everyone knows they should be doing it. What if YOU could empower a large group of people to get back on track? This informative and motivational webinar/workshop is a great way to introduce your services as a health coach or fitness professional, expand your reach and enroll clients in your programs. You’ll get to instantly establish yourself as the expert, so participants want to have YOU as their coach. During your presentation you’ll cover the top THREE roadblocks that most people face when it comes to making exercise a priority. Then you’ll help your participants identify THEIR stumbling blocks and formulate a SIMPLE, step-by-step plan that they can put into place right away. How to easily OVERCOME the three most common roadblocks to fitness TODAY. Identifying what’s REALLY holding you back from achieving your fitness goals. How to implement a simple exercise plan to avoid overwhelm, and help you feel more fit and energized. Planning ahead and designing your week to succeed. Plus recommended resources, apps and gadgets. A common missing link to success – support and accountability. Participants will learn practical, effective strategies and simple solutions that will help them get out of overwhelm and get back on track to feeling SENSATIONAL! A BONUS to offer participants that attend your the webinar live; a free guide called “Busting the Dreaded Weight Loss Plateau.” You can use this as a free gift for those that attend your live workshop. You’ll also have access to my exclusive, private Facebook group for ongoing support. PLUS – You’ll also get a fantastic guide with 5 Business-Boosting Strategies to help you MAXIMIZE exposure so you can launch a SUPER SUCCESSFUL event that is well-attended! For a limited time, I’m also adding this EXTRA BONUS! Your participants will leave your presentation feeling EMPOWERED and MOTIVATED, and they’ll realize that exercise doesn’t have to be complicated, confusing or overwhelming! This program is valued at over $397! 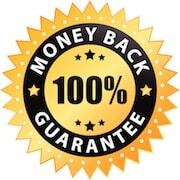 You get a 100% money-back guarantee. By delivering a DYNAMIC and EMPOWERING workshop or webinar that INSPIRES and MOTIVATES, you immediately position yourself as an expert and the person that your attendees are likely to turn to for support as a coach. “Your exercise workshop, ‘From Sofa to Sensational’, is a work of art! You always put together your programs so well, and give me confidence to get in touch with my group of people when using your materials. This just hit the spot for me as one of my clients has just asked me to help her on this very thing and I will be able to use your program materials to better educate my client and help her on her journey to health and wellness. This workshop is fantastic Kathleen! It has such an easy, friendly format that is clear, attractive and positive and the content is fresh and encouraging. It has simple, easy-to-follow steps and clear call to action for our clients. Looking forward to using this at an upcoming workshop. Thank you! Do I need to be a fitness expert to facilitate this workshop? Not at all! The exercise concepts are general in nature, so you don’t need to be a personal trainer or fitness expert. Participants are encouraged to strategize a plan that works for them. If you are a fitness professional, you can use this workshop as an introduction to your personal training, group classes or boot camps. You can offer a limited-time discount to one of your program packages as a fast-action bonus. Is this meant to be a workshop or a webinar? This done-for-you program can be used either way; it’s totally up to you. You have complete flexibility to use it for the format that bests fits your needs. The bonus guide that’s included will provide you with useful, practical tips to help you have the best event possible (tips for both workshops and webinars). All content will be sent to you in digital form. Note: this workshop can also be used as a downloadable eGuide. Will I know what to say during the presentation? Absolutely! You will have the presenter notes, which are included in the Powerpoint presentation, so you’ll know what to say throughout the workshop or webinar. You can customize the script to reflect your style and personality, but all the content you need is included. She’s done it again. I am so excited with Kathleen’s exercise workshop! The information and support for people attending the workshop – or watching a webinar using this presentation – will help anyone get off the sofa and be sensational. You’ll be blown away with the layout and thrilled with how this will fit into your health coach marketing and coaching toolbox. I was so excited to get the workshop “From Sofa to Sensational,” that I could hardly wait to open it. I have needed a workshop that is user friendly, ready to present, beautiful, crisp, clear, professional and well outlined, for some time. This is the perfect tool I needed to grow my business with. Having this presentation will help me get more clients. I love the handouts, script with verbiage, ease of customization and attention grabbing photos. I am so grateful for the time and effort that must have gone into creating such an incredible workshop! Keep making other coaches lives easier and more stress free with your work. I CAN’T wait for more workshops! Yours are the best out there; I’ve looked. Keep them coming! You have 30 days to review the program content to be sure it’s right for you. I’m confident that you will love this program as much as other coaches do, but if you’re not completely satisfied, please contact me for a prompt refund.